I’ve been camping with the boys in the upper reaches of New Hampshire for the past several days. I love the area and its rich wildlife. I am greatly saddened by the decline in the New England moose population, however. For the first time in a summer visit, I didn’t see a single moose. Granted, with the boys with me, I didn’t get up at five in the morning to go looking for them with my canoe as I would normally do. I will get more into the moose story in a later post. It was a very neat sighting and, unlike the birds and other animals up there, a cooperative photography subject. When I get back to a real computer, I will post more photos and stories of the trip. 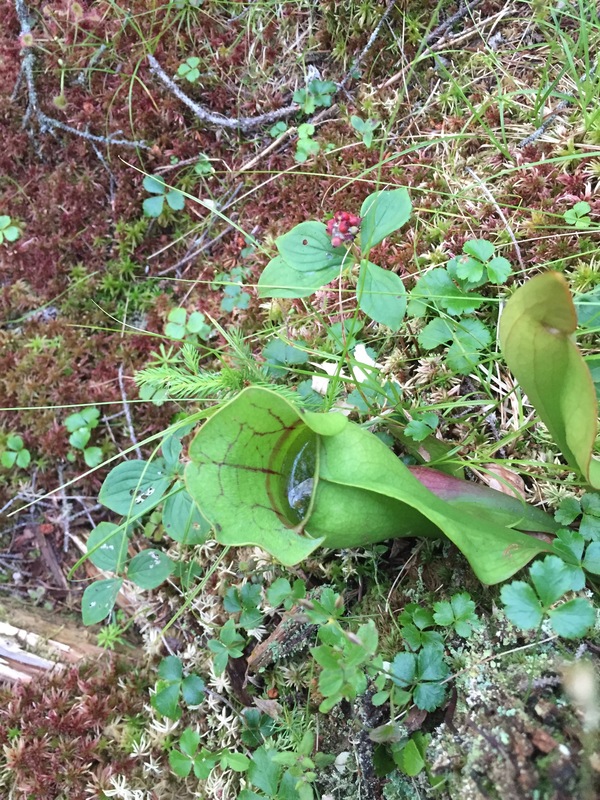 For now, enjoy the iPhone photo of the Pitcher Plant. The Moose population isn’t declining because you didn’t see one. The are staying farther north with the natural warming as of late. It will get cooler soon and they will come farther south again…. Thanks for writing, as always. True, my observations make for only anecdotal stories based on more than 20 years of visiting northern New Hampshire, but the decline of moose in New Hampshire and other states (especially Minnesota) have been well documented. The cause(s) may not be completely known (winter ticks are a prime suspect in New Hampshire) but the decline in these states is real _ whether I see them or not.